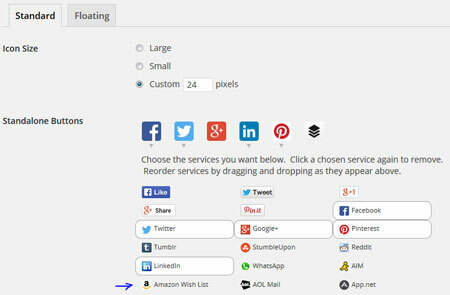 Monarch: a versatile social sharing plugin that lets you ad social media buttons to your website in a variety of ways. It gives you control over networks, locations, and other settings. AddToAny: we have used this plugin on many of our sites in the past. It lets you choose over 100 services. You get counters and floating share buttons. The plugin supports custom placement of buttons. 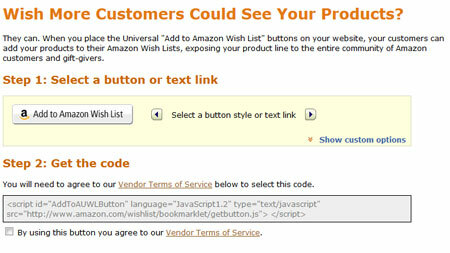 Vendor Button: the official Amazon Wish List button for websites. You can customize the button, product title, price, and other settings before grabbing the appropriate code snippet. Letting your visitors add your content to their wish lists is one way to bring them to your site in the future. The above plugins let you integrate Amazon’s Wish List system with WordPress conveniently.